EDMONTON - A national deal between the logging industry and conservation groups intended to protect forests and save caribou habitat isn't working in Alberta, say some environmentalists. "The Canadian Boreal Forest Agreement seems to be doing absolutely nothing," said Helene Walsh of the Keepers of the Athabasca, an association of environmentalists and aboriginal groups. "All these documents don't help caribou one little bit. We need something happening on the ground that is different — and we're not getting that." A spokesman for the office implementing the agreement said Alberta is a "particularly challenging" place for conservation but efforts continue. The boreal forest agreement was signed in 2010 between conservation groups and 19 major Canadian forestry companies. Industry agreed to preserve forests and habitat in exchange for environmentalists ending a boycott and media campaign against the companies. The understanding applies to more than 73 million hectares of public forests and has been called the world's largest conservation deal. It resulted in a 2012 agreement to conserve about 800,000 hectares in Ontario. But in Alberta, Walsh said, mountain caribou habitat for herds assessed as endangered is still being logged. Walsh released maps Wednesday that show some logging scheduled in the Narraway-Redrock Prairie Creek range north of Grande Cache. A much larger amount of logging is taking place in a 20-kilometre zone around core habitat. That buffer zone is considered crucial in federal and provincial caribou preservation plans to keep wolves away from the herds, which have declined in numbers by 60 per cent in the last decade. "Companies shouldn't be getting the benefit of this agreement if they're not doing what's necessary for caribou," said Walsh. "You've got to do what you've signed up for." When the agreement was signed, Alberta caribou ranges were singled out as top priority for protection. Carolyn Campbell of the Alberta Wilderness Association said that the deal hasn't produced those results. "In terms of what it's meant for Alberta caribou, we see very little," she said. "There's been ongoing logging. And time keeps passing." The Alberta Forest Products Association referred calls to the office overseeing the deal. Spokesman Aran O'Carroll said companies aren't breaking the letter of the agreement by logging in caribou buffer zones. That logging is managed to reduce wolf predation on the caribou as much as possible, he said. But Alberta's combination of agriculture, energy and forestry makes it a "complicated landscape." "There's no doubting that immediate action is required," O'Carroll said. "(But) it has to be a solution that is a workable one, one that leaves space for natural resource development. There are contractors whose livelihoods are dependent on the commitments of harvesting a certain amount. "And the only way we're going to find the solution is through creative thinking, because it is a vexing and challenging problem." Even the agreement's latest progress report points to Alberta as a problem child. The KPMG analysis says the likelihood of protecting priority ranges is "considerably low." 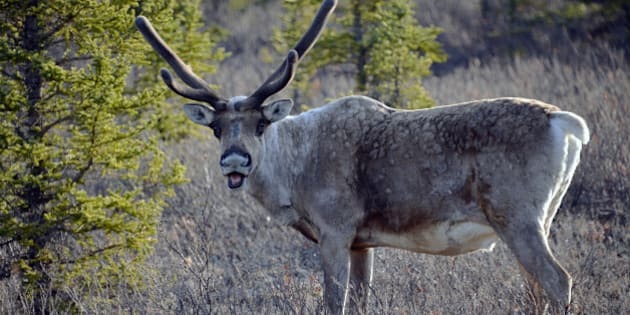 The Alberta government has confirmed that draft range plans for other threatened caribou herds have been delayed and have no timeline for completion. O'Carroll said all parties are still trying to come up with an answer. "The solution is good-faith discussions with all parties involved and that's what these signatories are committed to and actively doing."